This is étude No. 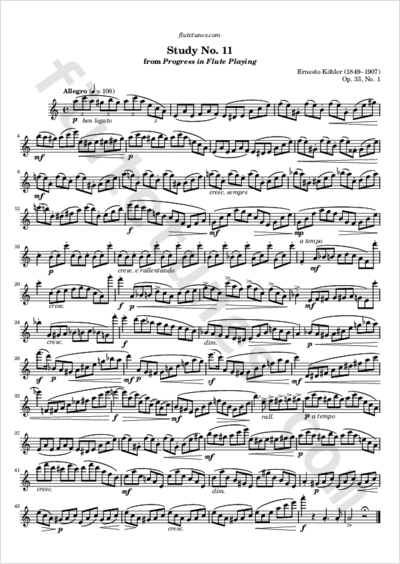 11 from Ernesto Köhler's Progress in Flute Playing, and it is based on an almost hypnotizing succession of triplets. With this study, the whole first volume is now available for download. Thanks to Roberto from Italy for requesting this piece!